Heytesbury Agricultural Show was held on Saturday 2nd march in hot weather of 38 degrees. The crowd was less than last year which was expected, but better than we thought we would have under the conditions. People arrived early and left early so the ground was basically empty of people by 1pm. The cattle entries were up; horses down; sheep down (due to half of the exhibitors pulling out on the Friday night); Homecraft entries down a little (due to the recent dry season). Entertainment was well received by those who attended. We had the Freestyle Now BMX stunt riders; Wicked Wildlife; Nicholas Ridiculous; Mini Golf; Daryl Barr rides; Animal Nursery and our Mystery Showbag. Our Blacksmith had to cancel due to Total Fire Ban. Our Show & Shine numbers were down due to a Colac Car Show being scheduled for the same day. We had some disappointing feedback on facebook regarding the heat policy and rumours started that our show was cancelled. Despite this and the weather, which is out of our control, we were happy with the way it all went and have received some good feedback. Planning has already started for next year......29th February.....a Leap Year Show! 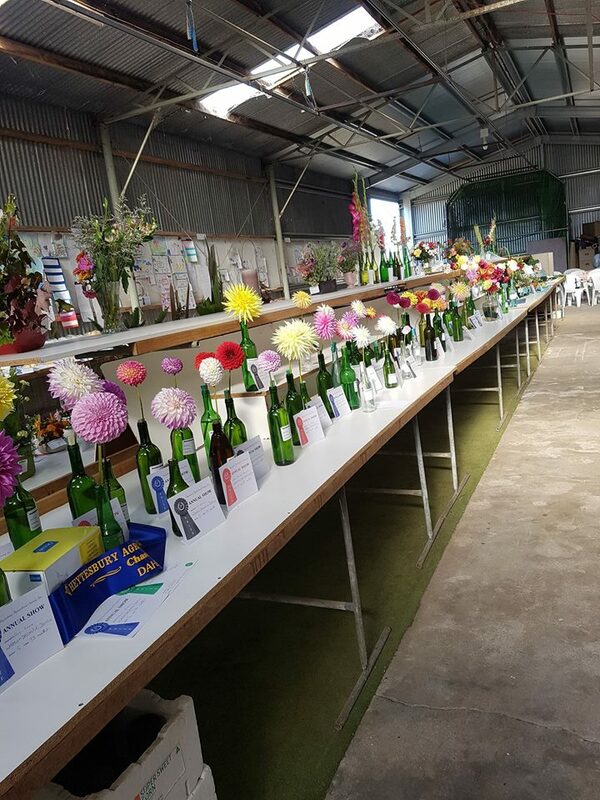 The 102nd Tyrendarra Agricultural Show was held on Saturday 9th of February 2019 and was again a success. While the day started with early morning rain and wind, by late morning the sun was out and the show in full swing. Most sections had similar entries numbers to previous year while a few sections were down on entries which may prompt some rethinks by stewards on classes. The blokes cookery section continues to grow with lots of chocolate cakes and scones, making the judges work extra hard. Cattle, Sheep, Wool and Poultry had good numbers and it was good to see so many youth exhibiting animals. Our Stockman’s Challenge, which is run on the Sunday (due to room constants) had record numbers with 99 horse/riders’ entries. To try to keep our show successful, our committee and section stewards continue to try to think of new relevant classes for both adults and juniors. We had a number of new classes that were successfully trailed, My Favourite Cake, a Honey section and Hard-Boiled egg decorated as a Emoji or Farm Animal. We continue to struggle for new younger committee members and section stewards to carry on the show into the future and help with set up and pack up. We also continue to manage a small budget while providing quality entertainment for all ages. Many entertainment options are quite expensive for a little show and incur travel and accommodation costs, with key committee members constantly looking for grant/sponsorship options to cover entertainment costs. We have found social media, particular Facebook and our website to be invaluable cheap options to get our event and section classes out to the masses. We also thank our local media outlets which continue to support our show with editorial features and interview opportunities. We also have to say a huge thank you to our many many sponsors, stewards, helpers and patrons who make the show a great event year after year. Our small dedicated committee must again get a big pat on the back for another successful show, lets hope for many more. All samples came back with no prohibited substances detected. Please click on the link here to view the NLIS Requirements at agricultural shows, events & rodeos that take place at your showgrounds. Make sure you have a read as every show society should be complying with these regulations now.